The announcement of the Office of Religious Freedom's first ambassador puts a face to an organization that has long been in the planning stages. But what will the new office really do? It has been almost two years since Stephen Harper announced his government would establish an Office of Religious Freedom to monitor the safety of religious minorities around the world. It was during the spring 2011 election campaign that the Conservatives promised that this new office would become a key pillar of Canadian foreign policy. Since then, however, progress has been halting. There were reports that two people who had been approached to head up the new agency had turned down the post. So the announcement Tuesday of the federal government's first ambassador of religious freedom put a face and public profile to an organization that has long been in the planning stages and is now operational. Who is the first ambassador of the Office of Religious Freedom? The first head of the new Office is Andrew Bennett, a 40-year-old Catholic and academic. He has been the dean of Augustine College, a small, private Christian liberal arts college in Ottawa, since February 2011. He teaches the history of Christianity there and is completing a part-time degree in theology. He has a Ph.D. in politics from the University of Edinburgh, an M.A. in history from McGill University and a B.A. from Dalhousie University. A study released last year by the Pew Forum on Religion and Public Life found rising levels of religious persecution around the world. It reported that, in 2010, 75 per cent of the world's population lived in countries with high government restrictions on religion or high social hostilities involving religion — up from 70 per cent in 2007. Bennett is also a former federal public servant. He worked for several years as a political risk analyst for Export Development Canada, and as a policy analyst in the Privy Council Office in Ottawa. "Dr. Bennett is a man of principle and deep convictions and he will encourage the protection of religious minorities around the world so all can practice their faith without fear of violence and repression," the prime minister said in announcing his appointment on Tuesday. Augustine College administrator Harold Visser said Bennett would reach out to all those persecuted on religious grounds. "What Andrew brings is a familiarity with a diversity of faith, and a sensitivity to the validity of those various faith traditions," he said. What will the Office of Religious Freedom do? Its mandate is to promote freedom of religion or belief. The government says this promotion will be a Canadian "foreign policy priority." According to a government backgrounder, the office is supposed to "promote freedom of religion and belief, consistent with core Canadian values such as freedom, democracy, human rights and the rule of law." Protecting, and advocating on behalf of, religious minorities under threat. Opposing religious hatred and intolerance. Promoting Canadian values of pluralism and tolerance abroad. Ottawa says the office will focus its activities "on countries or situations where there is evidence of egregious violations of the right to freedom of religion." The U.S. is the only other country with a similar office of religious freedom. The U.S. office was set up in the late 1990s under the wing of the State Department. It has since attracted criticism, including from former commissioners and staff, for being too Christian-centric. The ambassador has been told to raise awareness of religious freedom and call specific attention to those violations, speaking out in Canada and abroad. The office will have a full-time staff of five, including Ambassador Bennett, and has been given a budget of $5 million a year. It will operate within the Department of Foreign Affairs. Why was the office created? The Conservatives say it was the assassination of Shahbaz Bhatti in Pakistan in March 2011 that galvanized the government into taking more concrete action. Bhatti, a Catholic, was the minister of minorities in the Pakistan government. He was shot to death by Islamist extremists just three weeks after visiting Canada and meeting with Prime Minister Harper. The prime minister spoke about Bhatti, saying that he was "an honourable and humble man [who] worked tirelessly to defend the most vulnerable, not just other Christians, but Hindus, Sikhs, Muslims and all other religious minorities. 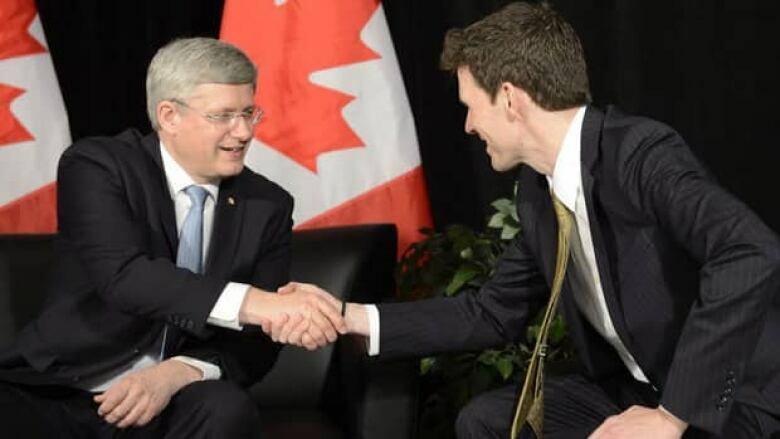 "He and I discussed the threats faced by religious minorities and the need for Canada to do more," Harper said. He went on to note that violations of religious freedom were "widespread and increasing." Will the office fight for the rights of non-believers? Religious freedom comes in many forms — among them, the freedom to not believe at all. When news of the office first surfaced in 2011,some early concerns were that it would be Christian-centric and that it was really designed to win political support from Canada's religious groups and ethnic minorities. Others worried that the new agency might divert attention or resources from other human rights issues and democratic development work. Humanist Canada and another group known as Centre for Inquiry (CFI) were quick to note that no secular organizations were consulted about the creation of the office, nor were they invited to the official announcement Tuesday of the new ambassador. "We are deeply concerned that this will set a precedent for future operations of this agency," said Humanist Canada president Simon Parcher. While there is no specific mention on the office's website about advocacy for atheists or non-believers, Ambassador Bennett made clear at his first news conference Tuesday that if people face persecution for their lack of belief, they could expect his office to speak out. "All people of faith and, again, those who choose not to have faith, need to be protected, their rights need to be respected," he said. "That's what this office is about."